Immaculate townhome for rent in New Lenox! 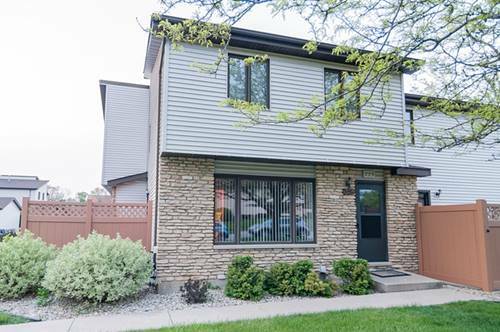 This beautiful 2 bedroom, 2 bathroom home features numerous updates and a super location to parks, walking trail, schools, shopping and the Metra station. Facing south - directly off a non-busy street, the exterior offers easy parking for guests, 1 parking space and a 1 car - detached garage which has been fully dry-walled. 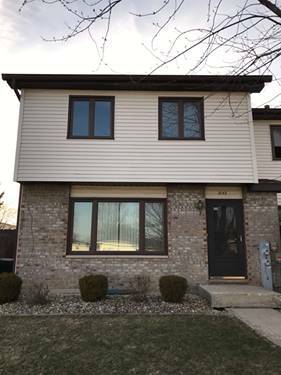 The warm and inviting interior boasts a spacious main floor that offers wood laminate flooring, a living room with picture window and large kitchen that includes all appliances, a dinette and access to the patio with privacy fence. Step up to the 2nd floor which has two spacious bedrooms and a bathroom. Additional living space is offered in the finished basement with a family room and updated bathroom. **Owners require 1st months rent + last months + security deposit! Renter pays for utilities and any potential HOA fines. NO pets and NO smoking. Rent to own option will be considered. For more information about 229 E Woodlawn, New Lenox, IL 60451 contact Urban Real Estate.